Rumors say Sebastian the Ibis was arrested once. Routh, 55, professionally portrayed Sebastian from 1984 to 1992. His tenure, which included three football national championship wins, ran through a high point in UM sport’s history. 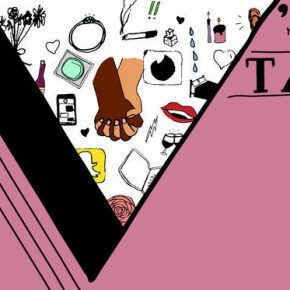 One such notoriety includes a run-in with Tallahassee, Florida police. As Sebastian, Routh aimed to have additional decorations on the ibis costume. For the ‘87 Florida State University game, he decided to make Sebastian a fireman, fire extinguisher included. The goal, however, was to spray the crowd, rather than Chief Osceola’s burning spear. “I knew that if I’d done that, I wouldn’t have gotten out of Tallahassee alive,” Routh said. Tallahassee police thought otherwise. Initially, one deputy tried to slow fireman Sebastian, but an accidental extinguisher blast caused a call for backup. Sebastian was detained until Chief Osceola left the field. Connie Nickel, assistant director for recreational sports and camp at the Wellness Center, has many memories of Routh’s work during the time she managed him. Routh’s silliness extended beyond Sebastian. The Miami Maniac, the baseball mascot, had the same man behind its antics from 1982 to 1993. As the Maniac, Routh performed at the College World Series in Omaha, Nebraska every year. During Routh’s tenure, UM baseball won two national championships. The Maniac had its own winning performances. During a baseball game that was broadcast nationwide, the Maniac “married” Mrs. Maniac. 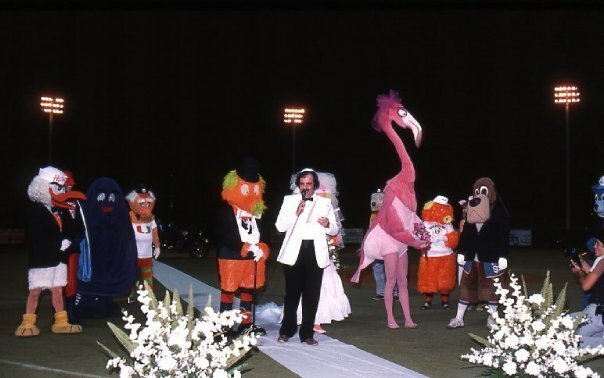 The mascot matrimony, which was planned to last about five minutes, went on for 14. Sebastian, the Maniac’s best man, was in attendance. During that time, Nickel was managing the production of spirit groups on campus and saw Routh in action. “Everything was just so well thought out and meticulous and funny,” Nickel said. One maniac example that’s become a permanent fixture in UM’s culture is the Canes Spell Out. Thought to be football’s and Sebastian’s main act today, the spell out actually originated with Routh as the Miami Maniac. It was a fateful football game against Notre Dame in ‘89 that solidified the spell out’s place in history. Even Sebastian’s good looks today are a result of Routh’s handiwork. According to Routh, the ibis’ original costume was too big and bulky to properly move around in. “I performed in that costume one time, and I told them that I was not going to do it in that costume,” Routh said. That reaction in 1984 ultimately lead to the design that is in use today. Routh’s mascot career began with his desire to stand out from the crowd. “I was always thinking of crazy ways to do things differently from everybody else,” Routh said. Once during his time at the University of South Carolina, Routh was invited to a cowboy and indian-themed party. He came dressed as a Cleveland Indians baseball player, to the surprise of some at the party. This creativity inspired his fraternity brothers to point Routh toward tryouts to become the first Cocky the Gamecock, USC’s mascot. He wore those wings from 1980 to 1982, when he graduated from the university. Routh, who was born in Columbia, South Carolina, came to Miami after Ron Fraser, famed Miami baseball coach who passed away in 2013, saw Routh perform in the 1981 College World Series and wanted Miami’s baseball team to have a mascot as well. “That’s why I was Cocky at USC. Born and bred a gamecock but now I bleed Orange and Green,” he said. 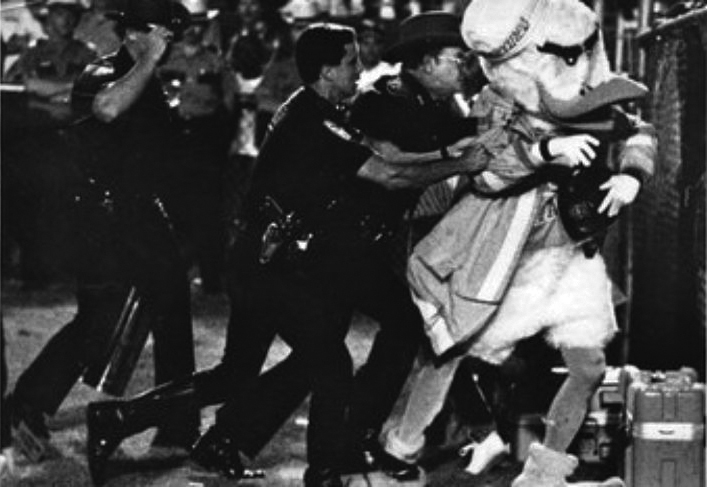 The Miami Maniac was created in 1982, and a few other people wore the costume prior to Routh. Ultimately, he was chosen as the main man behind the mask. Initially, Routh planned on staying in Miami for only six months and moving on to a minor or major league baseball team. The job, he said, was simply too sweet to let go. By staying in Miami, the transition to donning both the Maniac and Sebastian was seamless. Once the Florida Marlins emerged in 1993, Routh saw that it was time to move on from UM, and he left to become Billy the Marlin. Though there was a brief time during ‘93 when Routh wore both the Marlin and Maniac mask. Routh left the Florida Marlins in 2003 and had minor league baseball shows for a few summers afterward. In 2004, he began volunteering on the UM Hall of Fame’s committee for five years. 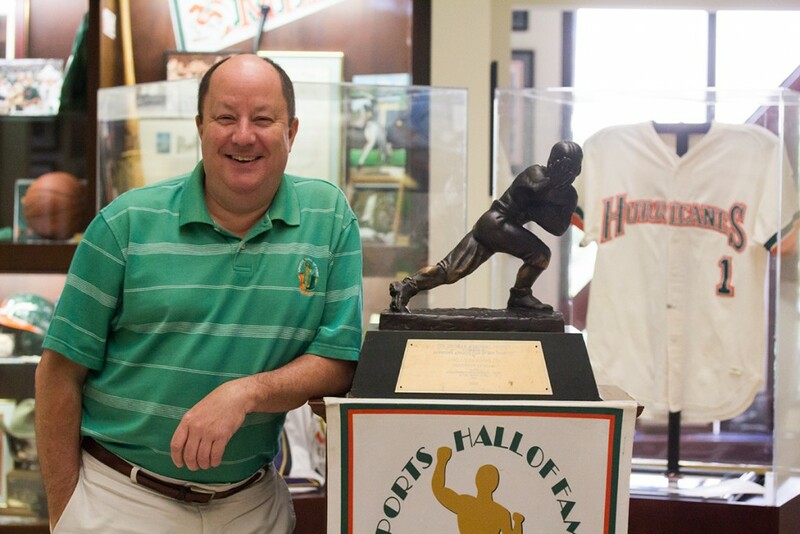 Once 2009 came around, Routh was asked to become executive director of the Hall of Fame. As director, Routh works to maintain, build upon and diversify the hall’s collection of memorabilia. Items come from wherever the hall can get them, but he said quite a few come from Hall of Fame inductees. A more recent addition to the hall is gear from UM football’s all-time leading rusher Duke Johnson. Once Johnson broke the rushing record, Routh worked to acquire a helmet, jersey, cleats and shoulder pads. When visitors arrive, Routh can lead tours through the hall. He enjoys showing people around the hall and pointing out the various artifacts decorating the walls and cases. The Hall of Fame is open Monday through Friday from noon to 5 p.m. Even though Routh started out as a different mascot altogether, he rose to represent figures that symbolized UM’s athletic prominence during his mascot tenure. Routh joked that he would be content with making a home of the Hall of Fame if only it had a shower and bed.